Carlton bed and breakfast travel guide for romantic, historic and adventure b&b's. 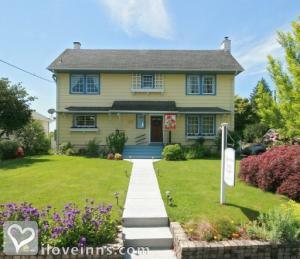 Browse through the iLoveInns.com database of Carlton, Oregon bed and breakfasts and country inns to find detailed listings that include room rates, special deals and area activities. You can click on the 'check rates and availability' button to contact the innkeeper. Carlton in Oregon State has a very unique history and it stems from the town not having a railroad stop in their vicinity and so Mr. Wilson Carl went to Portland and convinced the railroad company officials to set a station closer to them so that townsfolk would not need to bring their produce to the next town in order to have it loaded to the trains. From then on the railroad officials passing this town called it Carl's town which eventually shortened into Carlton. Carlton is a small city in Yamhill County. It is quaint, yet not absent of modern amenities, in fact Carlton is filled with back road wineries. You can even taste some samples of the best wines in America. If you happen to visit this wonderful town with its scenic beauty, do not forget to try the Carlton bed and breakfasts.